Do you know what Yerba Mate is? The Quechuan word Mate normally refers to the plant Ilex Paraguariensis, a native South American drink. Mate combines the energy of coffee with the health benefits of green tea and the good-mood feeling of chocolate all in one drink. Yerba Mate is Spanish and refers to an aged, bitter, leafy version of a herb mostly known in Argentina, Paraguay and Uruguay. Erva Mate is Portuguese and refers to a fresh, green, powdered version of a herb mostly known in Brazil. 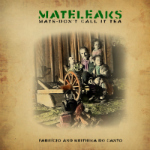 Meta Mate is English, Spanish and Portuguese, and means more. It goes beyond and it is redefining mate drinking offering outstanding new solutions. Meta has several meanings and we choose to emphasize the Sanskrit interpretation signifying the love and kindness given to us from the mate tree. Only Meta Mate offers ancient, traditional, seasonal full-moon harvests from old growth trees or individually plucked freeze-dried leaves. Furthermore, Meta Mate designs products like soft drinks, beer, chocolate, cosmetics and much more. We work together with rural families in Brazil to legalize their small-scale high quality productions. Finally, Meta Mate strives for a better ecological foot print, therefore we work together with drink manufactures like Club-Mate to transform Soya Monoculture into Mate Permaculture. What you probably know as Yerba Mate is aged, leafy, bitter, and probably from monocultures. Yerba means herb in Spanish and usually refers to herbs sourced from Argentinean monocultures where the plants are exposed to the stress of the sun and stored for over a year resulting in a strong, bitter taste. Herbs lose their health benefits when stored for over a year. But have you ever tried a fresh, green, sweet mate? We would like to introduce you to Meta Mate – a fresh, wild-sourced ‘herb’ that goes beyond the existing definition of Mate. Meta Mate is the only mate with hand-made full-moon harvests, raw, and fresh leafy vacuum packed solutions for your mate.